R. Ray Battin, psychologist, audiologist, and neuropsychologist, has been recognized by Marquis Who’s Who Top Healthcare Providers for dedication, achievements, and leadership in auditory processing. With nearly 70 years of professional experience, Dr. Battin has been a psychologist, audiologist, and neuropsychologist in private practice since 1959. In addition to her primary roles, she was a clinical instructor at the University of Texas Medical Branch at Galveston from 1964 to 1980, the director of the Houston Ear Nose and Throat Hospital Clinic Audiology Laboratory from 1963 to 1973, and an audiologist with Drs. Guilford, Wright, and Draper from 1959 to 1963. Earlier in her career, Dr. Battin lent her experience to the University of Florida, the Ann Arbor School, the University of Denver, the Houston Speech and Hearing Center, and the Hedgecroft Hospital and Rehabilitation Center. 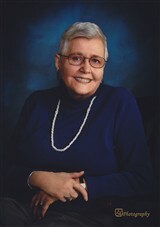 Dr. Battin began her career as a student at the University of Denver, obtaining a Bachelor of Arts in 1948. She then joined the University of Michigan for a Master of Science in 1950. Following completing of postgraduate coursework with the University of Miami and the University of Iowa, she earned a PhD form the University of Florida in 1959.